New, complex threats and recession budget cuts have made it harder for the public health system to protect and serve Washington’s families and communities. Program cuts and service reductions have become a year-over-year pattern in many counties. Public health leaders from across the state have been working to identify the biggest risk to the public in order to prioritize the crucial $100 million in funding needed for the 2019-2021 biennium and beyond. This will allow us to bridge that $296 million gap, rather than it continuing to grow. With populations increasing daily, we cannot put off investing in a reliable public health system any longer. Thank you to the Washington State Legislature for a one-time $12 million investment in core public health services! This investment restores the cuts to public health services that were made during the Great Recession – but additional new funding is needed to ensure we can adequately track, respond to, and prevent disease outbreaks. We will continue to work with partners and legislative champions to secure sufficient and stable funding to keep our communities safe and healthy. 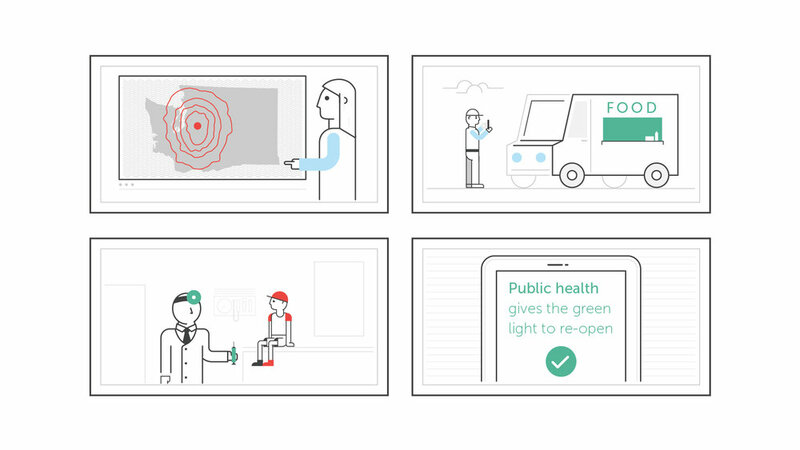 Tracking, responding to, and preventing costly food and water contamination and disease outbreaks are essential to protecting the public's health. Yet new, complex threats and recession budget cuts have made it harder for the public health system to protect and serve Washington's families and communities. Rebuilding our public health services means we can better monitor and coordinate emergency response -- keeping our communities safe, reducing costs for taxpayers, and protecting our local economy. 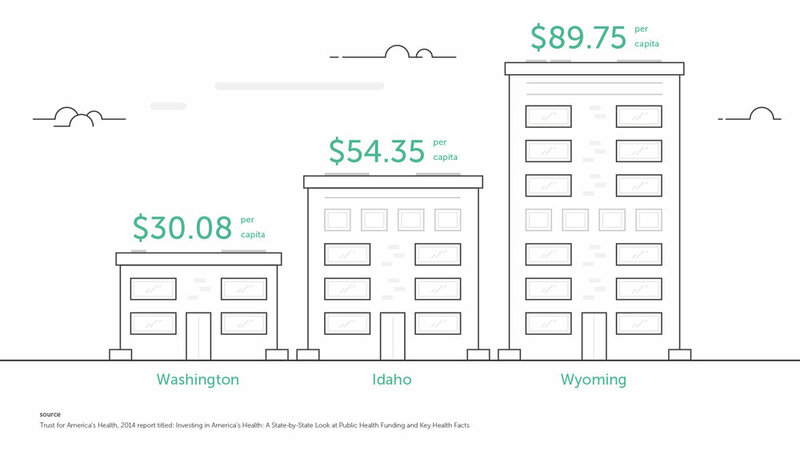 "Washington invests much less than Wyoming and Idaho, on monitoring, responding, and preventing public health epidemics." A young woman unknowingly infected with measles at Disneyland traveled to Washington over the holidays in late 2014. Coordinating a multi-agency response involved the state, three counties, British Columbia, and multiple businesses to successfully prevent the spread of this highly contagious illness. In Yakima, Benton, and Franklin counties, more than 40 mothers have lost babies to anencephaly since 2010. This rate for a rare and fatal birth defect is five times higher than the national average, but investigators say the cause is still unknown. Rapidly changing viruses and diseases, growing populations, and increasing numbers of travelers and visitors are straining our tracking and prevention capacity. During last year's Chipotle E. coli poisoning, a response team coordinated local, state, and federal partners to analyze supply records to identify and remove food that sent people to emergency rooms in Clark, Skagit, and other counties. Doctors, nurses, and first responders depend on epidemiologists tracking disease outbreaks, as well as local public health coordinating quick responses to stop the spread of diseases. We simply can't expect our state and local public health departments to coordinate crisis response, such as E. coli or whooping cough outbreaks in a school, when they don't have the needed resources. When dozens of people in South King County were rushed to the hospital with carbon monoxide poisoning, public health experts worked to find translators to contact immigrant communities to caution against using heat sources that give off deadly gases. We need to provide our local public health departments with funding to respond to health emergencies at the local level.